BEAM Robotics is fundamentally about drawing inspiration from nature. I am thinking about what it would take to create a spider-like robot, using muscle wire to actuate music wire legs in a way that is similar to how a spider walks. 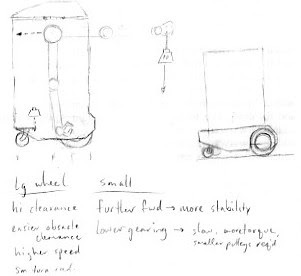 Then, of course, I got to fantasizing about a spider robot that could climb furniture, curtains, ... heck, walls too. Wouldn't that be cool? 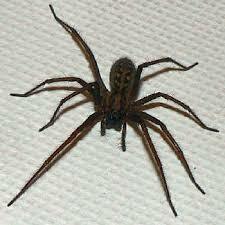 So then I thought to myself, "self, how do you suppose spiders can hang onto walls and whatever?" and so I brought up trusty Google and found out. Spiders have a bunch of hairs on each foot, that branch out into finer hairs. 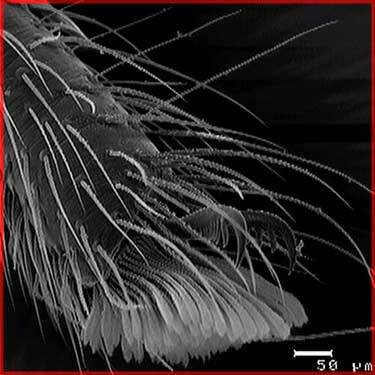 Ultimately about 600,000 hairs per spider. These super-small hairs use the Van der Waals force of close proximity, electromagnetic attraction between atoms -- like some kind of atomic nano-Velcro. I've been interested in robots and robotics for at least 15 years now. 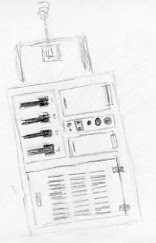 Aside from a half-baked experiment or three, hundreds of ideas and drawings, and reading a bunch of books, I haven't managed to make the torture of earning that computer engineering degree truly worthwhile. (By entertaining friends and impressing family, of course). Maybe that is all about to change. Once again, I've caught the bug--for robotic bugs, as in BEAM robotics. Something small scale. Simple. A project I might actually be able to complete. 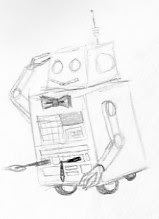 If nothing else, I've been having a lot of ideas about robotics lately. So I figured, why not foist them on the planet in the form of Yet Another Blog--er, I mean, share them you, gentle reader. 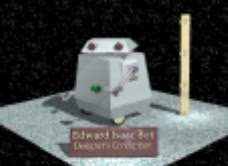 To get started, here's my first real robot. Store bought (not trying to cheat, trying to get inspired). For $10 you can get this simple, tiny hexapod walker from RadioShack. 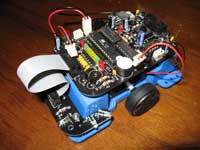 Features obstacle avoidance via wire antennas and it responds to loud noises. All in a package the size of a kiwi fruit.